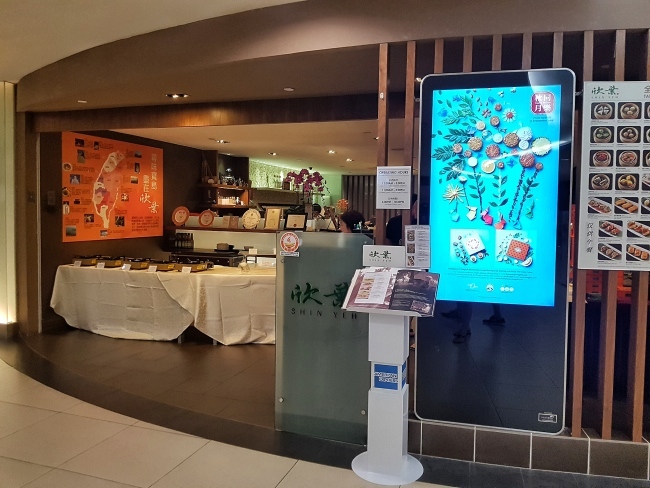 Shin Yeh ~ Located at Liang Court. We were having staycation at Somerset Liang Court. We chanced upon Shin Yeh. 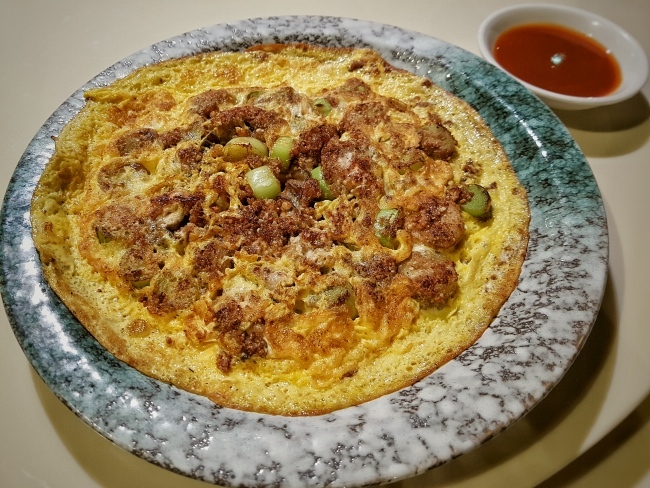 Shin Yeh together with TungLok Group brings taiwanese dishes to shores of Singapore. Its been a long time since I been to Taiwan. Miss the amazing Taiwanese food! A modern oriental ambience. 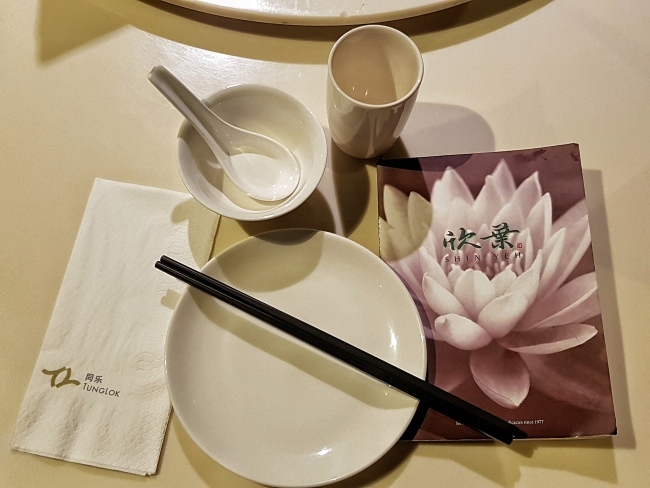 The restaurant is located at Liang Court which is very near to the popular Clarke Quay and Boat Quay. It is 300-seater with 8 private rooms. 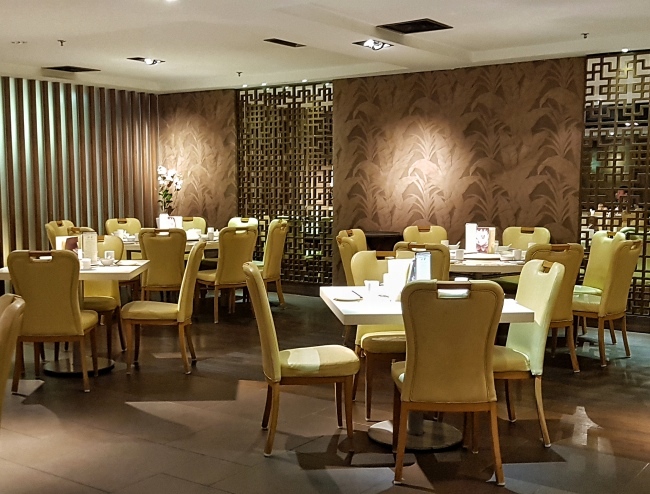 The restaurant also offers a private function area which can accommodate up to 10 tables. You can overlook the Singapore River if you are seated by the window. Great for family gatherings. The friendly service staff swiftly bring us to our seats. 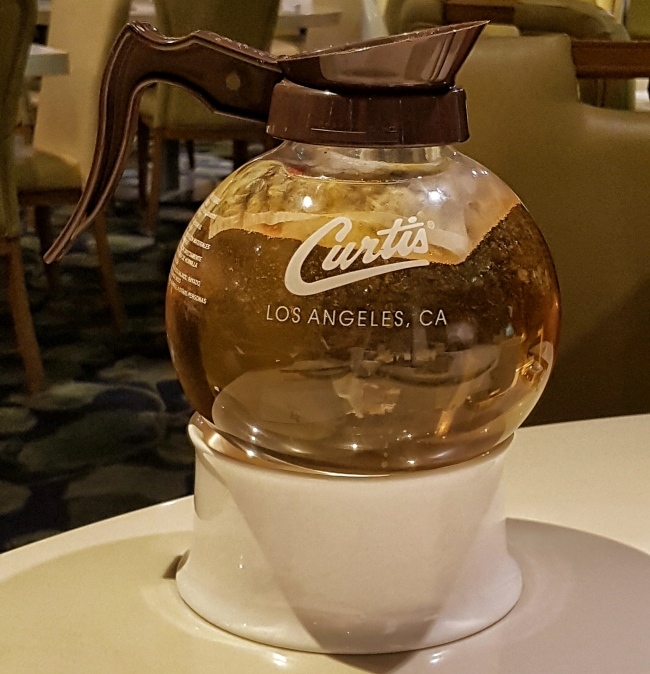 Their tea pot is not the typical chinese tea pot. So Interesting. It look so contrasting from the ambience. 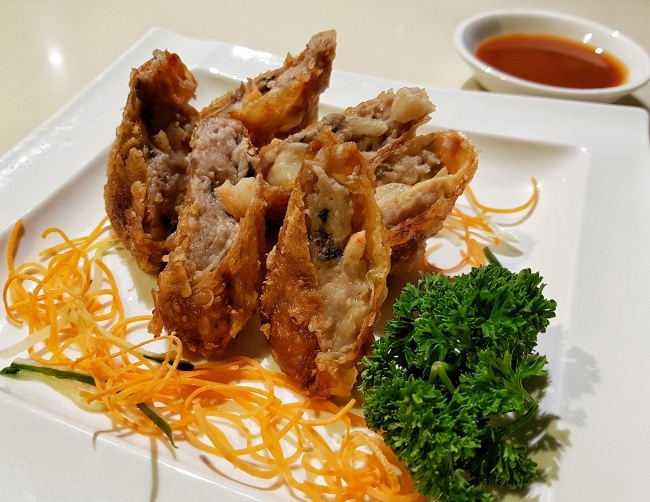 It was crispy and moist flavorful yam paste. I love yam and prawns. This is great! Lovely combination for me! We had oysters scrambled eggs cravings. Their oysters are quite fresh. The eggs are fried evenly. 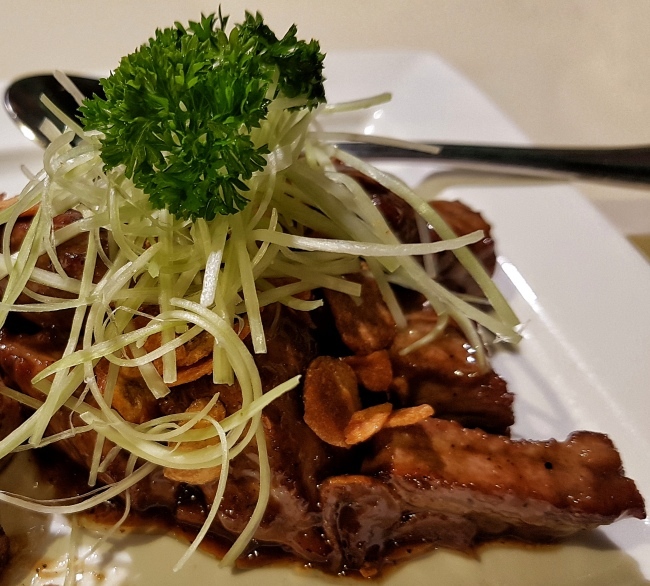 The Beef Fillet is very tender and flavourful. The Garlic slice were also very crispy. Complement the beef fillet very well. 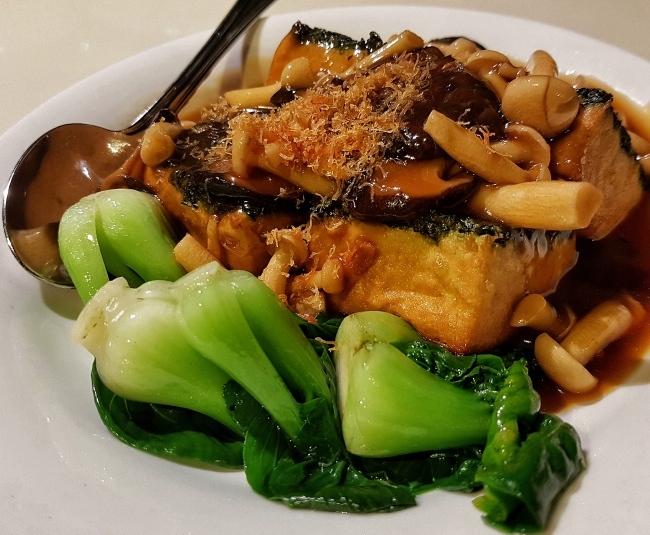 The beancurd is very smooth and silky inside with the lightly fried outside. 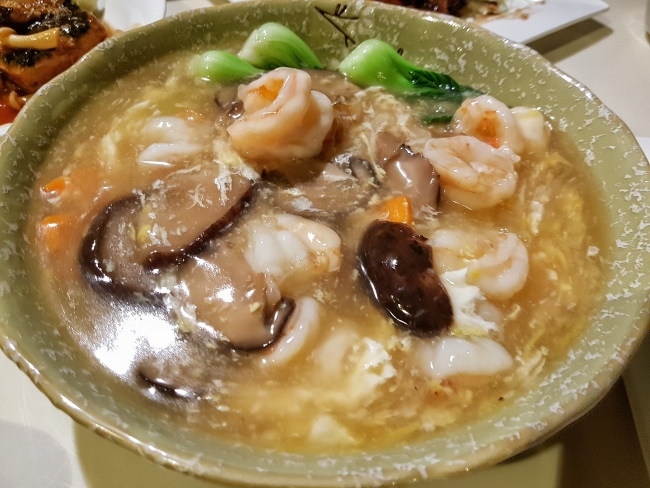 The mushrooms and vegetables are fresh and crunchy. The prawns were quite big and succulent. I think the egg gravy were a bit too much. Shin Yeh ~ Located at Liang Court. 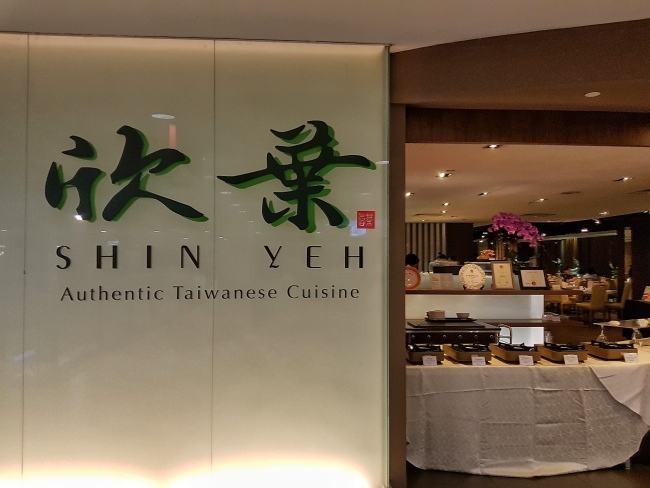 Shin Yeh together with TungLok Group brings taiwanese dishes to shores of Singapore. A modern oriental ambience. Great for family gatherings. 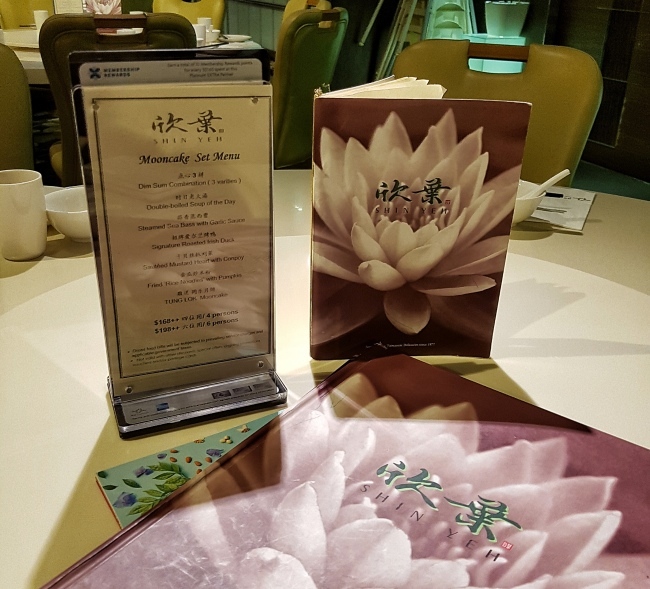 The restaurant is located at Liang Court which is very near to the popular Clarke Quay and Boat Quay. I enjoyed Wok-fried Beef Fillet with Garlic. The beef fillet was very tender.